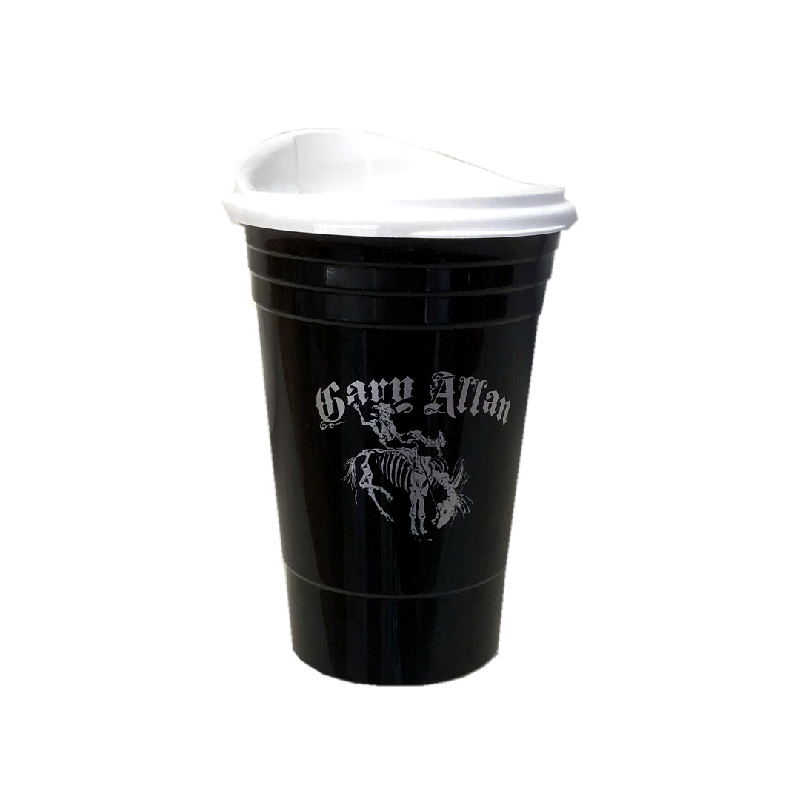 Gary Allan 16 oz. double wall insulated party cup with snap on lid. Gary Allan logo with bucking bronc logo on one side.